The SKIN probe project examines the future integration of sensitive materials in the area of emotional sensing – the shift from ‘intelligent’ to ‘sensitive’ products and technologies. 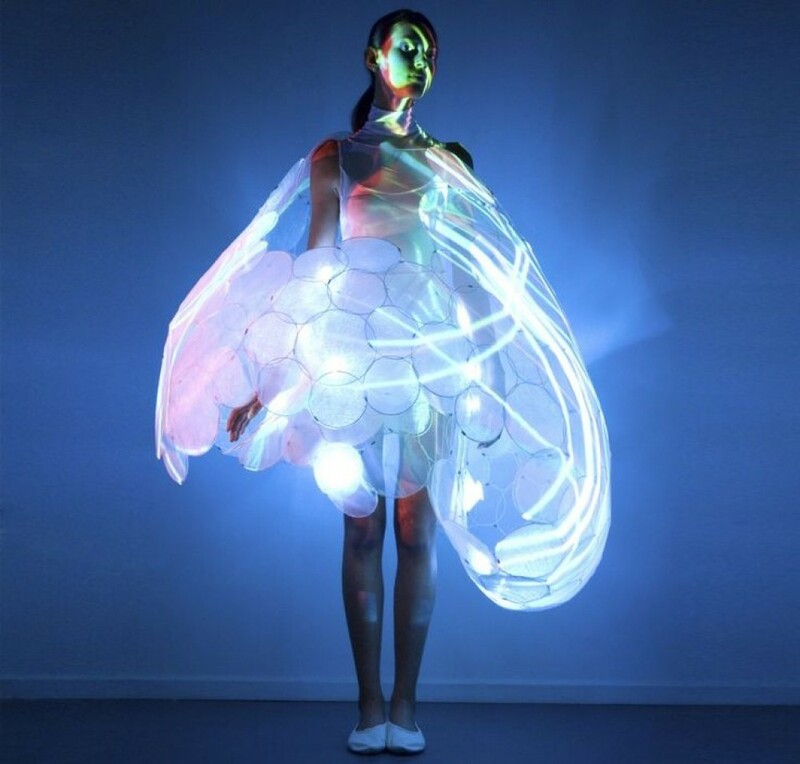 As part of SKIN, we have developed a ‘Soft Technology’ outfit to identify the future for high tech materials and Electronic Textile Development in the area’s of skin and emotional sensing. The dress show emotive technology and how the body and the near environment can use pattern and color change to interact and predict the emotional state.